Slipknot biography, albums, wiki, concerts and stats - Musicazon! There is more than one artist with this name; 1) Slipknot is an American alternative metal band from Des Moines, Iowa. The band was founded in 1995 by percussionist Shawn Crahan, drummer Joey Jordison and bassist Paul Gray. After several lineup changes in its early years, the band settled on nine members for more than a decade: Shawn Crahan, Joey Jordison, Paul Gray, Corey Taylor, Mick Thomson, Jim Root, Craig Jones, Sid Wilson, and Chris Fehn. Gray died on May 24, 2010, and was replaced during 2011–2014 by guitarist Donnie Steele. .
Do you love Slipknot? Please write something! Sorry Slipknot album not found! 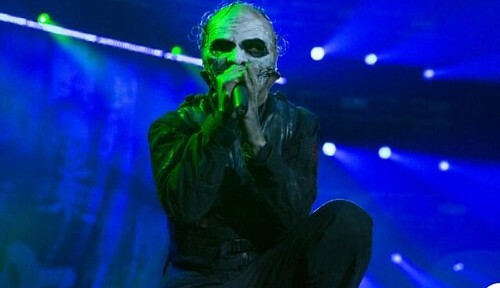 Slipknot concert, tickets & tour dates updating..